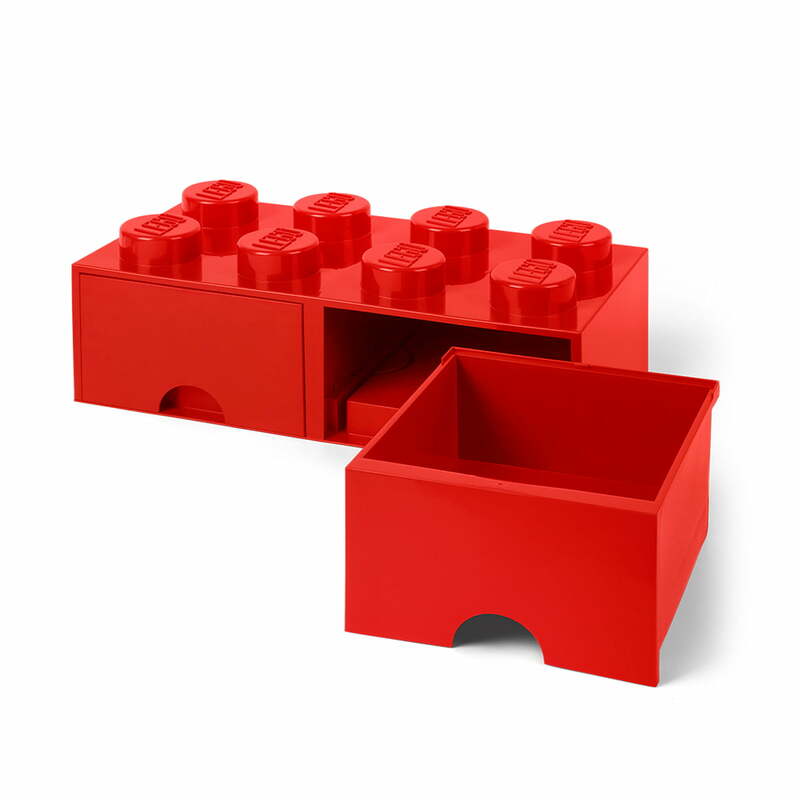 The Brick Drawer 8 by Lego is a practical and playful Lego style drawer. The storage drawer with 2 compartments offers plenty of space to store toys, lego blocks, stationery and much more. The easily accessible storage solution has 8 extra large knobs that can be connected with other Lego bricks. This makes it configurable and can be extended as necessary. 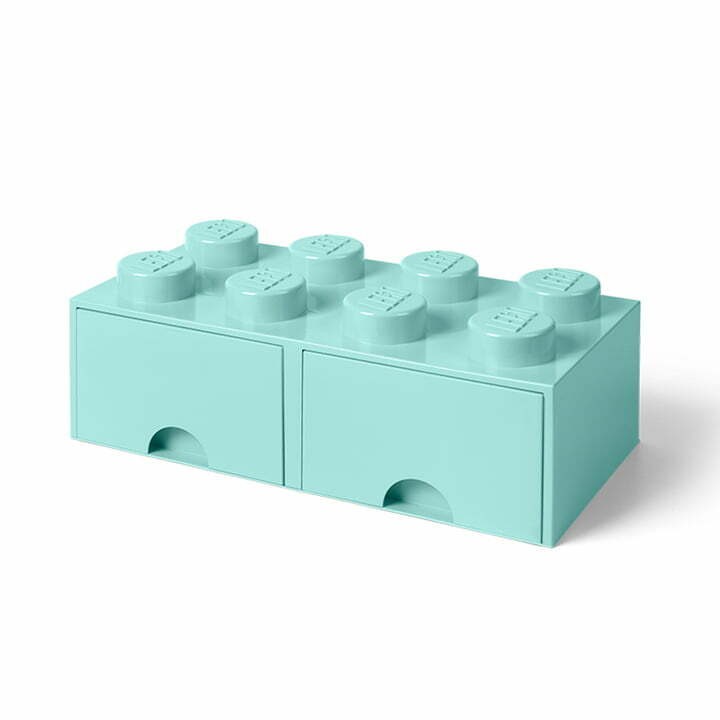 The Brick Drawer 8 by Lego are manufactured from durable plastic. Available in a wide range of colours, they can be adapted to any room and ensure a real eye catcher. Thanks to the Brick 8 storage drawers by Lego, the drawers are not only aesthetically pleasing but also help to put order in every room. As a result, cleaning is made fun and encourages little ones to put their belongings away. 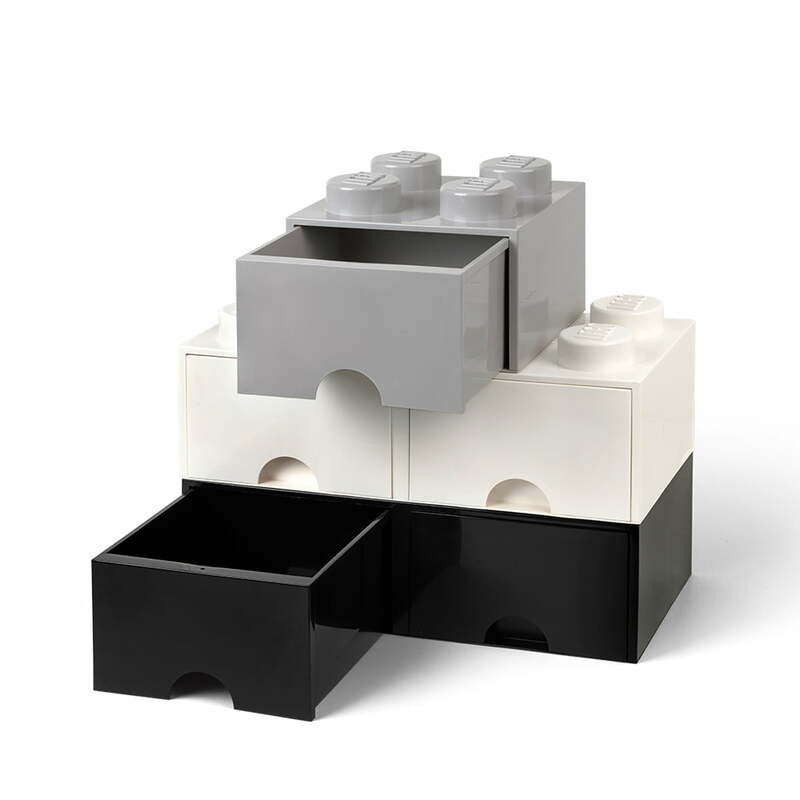 The Brick Drawer 8 by Lego is a practical and playful Lego style drawer. The storage drawer with 2 compartments offers plenty of space to store toys, lego blocks, office supplies and much more. Open Brick Drawer 8 Storage Drawers by Lego: The easily accessible storage solution has 8 extra large knobs that can be connected with other Lego bricks. Thanks to the Brick 8 storage drawers by Lego, the drawers are not only aesthetically pleasing but also help to put order in every room. As a result, cleaning is made fun and encourages little ones to put their belongings away. 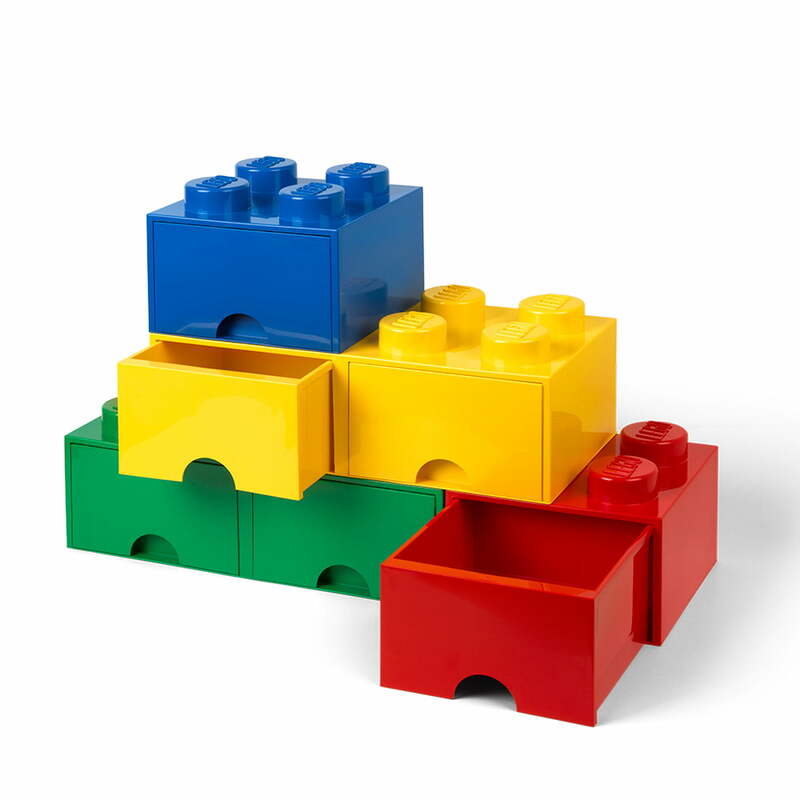 The Brick Drawer 8 by Lego are manufactured from durable plastic. Available in a wide range of colours, they adapt to every room and ensure a real eye catcher.